A mummy buried in a Basel church has been identified as the preserved corpse of the great-great-great-great-great-great-grandmother of the British foreign secretary Boris Johnson. An international team of researchers discovered that the corpse belonged to Anna Catharina Bischoff, who was born in 1719 in Strasbourg and died of syphilis in Basel in 1787. 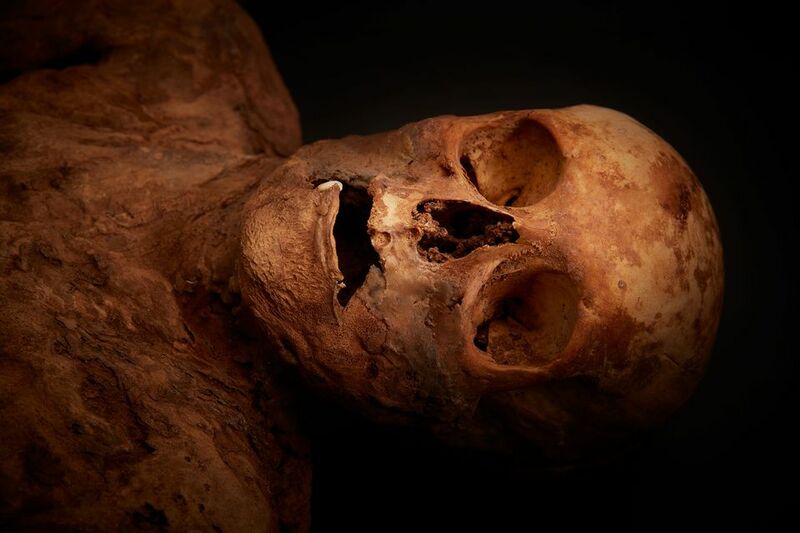 Her disease was treated with mercury, which was the eventual cause of her death but also served to produce the best-preserved mummy ever found in a Swiss crypt. Bischoff was the daughter of a Basel clergyman. At the age of 19, she married a pastor and lived in Strasbourg with him for 43 years until his death, when she moved back to Basel. Of her seven children, only two daughters survived childhood. One of them married, and Johnson is one of her descendants. The mummy was discovered by archaeologists during reconstruction work at the Basel Barfüsser church. The research project to identify the corpse was launched by the Basel Natural History Museum in 2015 following an exhibition about mummies where it was on display. Tracing the history of the corpse and identifying Bischoff required extensive archive and genealogical research, as well as tests to compare DNA from the woman’s big toe with saliva belonging to her living descendants in Basel and Ohio. The investigation was followed by the Swiss public television channel SRF.